BAZRA are one of those unique bands that can conceive a mixture of loud punk and heavy funk. The band has one of the tightest sounds out there. Formed in 1999 by vocalist Teppei Inoue and drummer Mieda, bassist Kentarou Miura would not join until the following year. 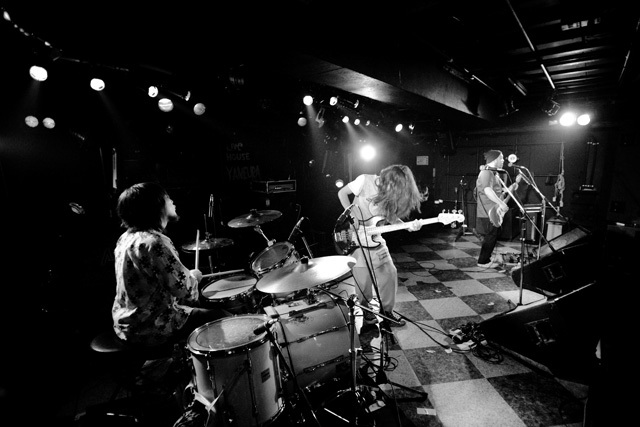 It was in this year that they began sale of their self-made maxi-single, Taion, which was sold only at live shows and two Tower Record Indies Corners in Sapporo (northern Japan). In 2002 they released their first mini-album, hyourokudama. They began to get a lot more attention during this year as they played with artists such as Elephant Kashimashi and Going Steady. Later that year their first full-length, ahoo Rhythm. The band has continued to go strong solid releases. They played the RISING SUN ROCK FESTIVAL in 2003 and they are now playing one-man lives and national tours.